Pedaling the road: What's on your schedule? Everybody, even those who are remotely connected to cycling knows when and where the big races are. If you have a twitter account, and if you enjoy following cycling, of course you do, you will have a hard time not to know. The guys at Pavé have put together a calender so good that you'll probably find a race near you which you even didn't know existed. The Pavé guys have also made it easy for you to put the calendar into your PC, phone, gmail account, apple OS and the works. Head over now to find out or just click here. The calendar consists UCI races, both World Tour and European ones. 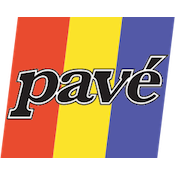 Pavé is one of my favorite websites, news, tech, information about riders and teams, they have it all.